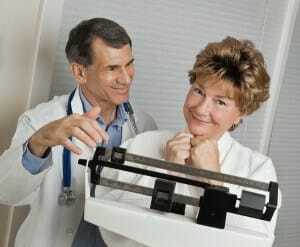 Physician weight loss supervision is imperative if you want to not only lose weight but also keep it off permanently. Physician weight loss supervision will customize a good weight loss program to meet your needs, enabling you to know what to eat and what to avoid. Physician weight loss supervision by one or more weight loss doctors can also enable a person who has a health condition to lose weight in a safe and healthy manner. When looking over weight loss doctors and determining which physician weight loss program to work with, it is important to make sure the weight loss doctors you choose are experienced, offers results and does not use weight loss gimmicks that help you lose weight today but cause you to gain even more tomorrow. That is why many Tampa residents who are interested in physician weight loss supervised programs are turning to Dr. Urshan’s Health and Weight Loss Center. Another reason why Dr. Urshan stands out from other weight loss doctors is that his program also offers additional benefits. Those who have worked with Dr. Urshan’s physician weight loss supervised program testify that they have also been able to stabilize blood pressure without medication and get rid of sleep apnea problems**. Unlike many other weight loss doctors, Dr. Urshan offers his physician weight loss supervised program at a very reasonable price. He takes pride in helping people lose weight in a healthy manner and so makes his professional help easily accessible to people from all walks of life. If you have tried various weight loss doctors and are tired of unsatisfactory or unstable results, find out how our physician weight loss supervised program can help you. We look forward to answering your questions, addressing your concerns and working with you to help you reach your weight loss goals. Dr. Urshan’s physician weight loss serves Tampa, South Tampa, Carrollwood, Temple Terrace, Lutz, Wesley Chapel and nearby communities.